Greater security. Greater control. 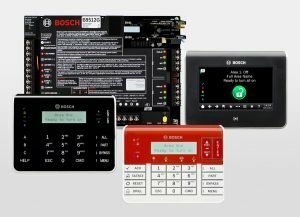 Secure people and property with Control Panels and Keypads from Bosch. 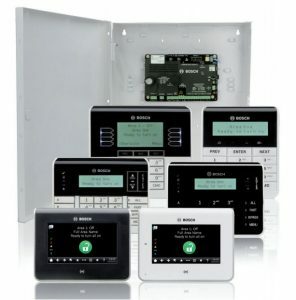 B Series panels integrate intrusion and fire, providing one simple user interface for all systems. The scalable B Series panels are available with 16 to 48 points and support for up to 50 users for small to mid-sized applications. Choose from standard or ATM style LCD keypads. B Series includes a built-in Ethernet port for IP alarm communications. It can also send reports using cellular or wired phone networks using plug-in communication modules. A modern internet appliance, B Series is the first control panel to support both IPv6 and IPv4 networks. And with DNS for remote programming and central station reporting, IP communication is simple to set up from the installer keypad menu or via Remote Programming Software (RPS). B Series panels are as adaptable as they are powerful. The system can be split into up to 48 points and 4 areas, each with perimeter and interior arming. 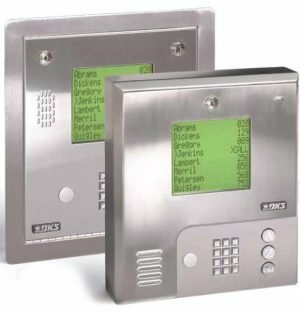 To provide ease of use, keypads offer dual-language support and can be configured to operate all areas or just a single area. Custom text is remotely programmable on each keypad—choose from English, Spanish, French or Portuguese—reducing costly service calls. B Series provides increased protection and cost savings with special point types for monitoring safety, environmental, and high-security items. B Series offers a host of features to simplify any installation. Connect your laptop directly to the panel with the on-board Ethernet or USB ports. Unlike other systems, you don’t need an extra module, specialized hardware, or custom laptop configurations—just plug it in, and it works! Remote programming and advanced diagnostics over IP or cellular minimizes maintenance costs by allowing you to service systems over the panel’s cellular connection, over the internet or enable / disable certain functions without traveling to a facility. Perform remote firmware updates for easy upgrades and to offer feature enhancements as they become available. 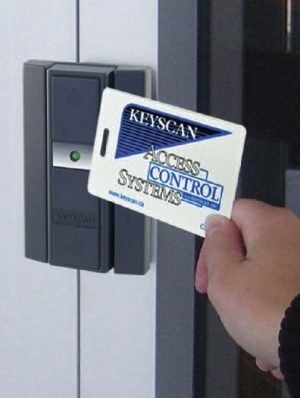 With the Remote Security Control app, customers can operate B Series from an iOS or Android device. Arm or disarm the system, check system status and control outputs over the panel’s cellular connection, over the internet, or through a local wireless network. Receive notifications of important system events via email or send text messages directly to any smart phone. View premise conditions from a remote desktop or smart phone. Bosch IP camera integration with the B Series Control Panels allows video motion detection to activate points on the panel, triggering camera actions such as sending video or snapshots via email. Combine the B Series Control Panel with the Bosch Control Gateway, to connect Z-Wave devices—such as lighting controls, door locks, temperature sensors, and IP cameras— for home or premise automation. Use the dashboard for remote monitoring to stay informed while away. B Series supports a full range of intrusion detectors including Blue Line Gen2 with excellent catch performance and false alarm immunity. For applications where appearance is important, choose the RADION wireless platform with superior range, reliability, flexibility, and battery life. RADION allows for the most cost effective installation and service with multiple device enrollment options, configurations, and diagnostics. 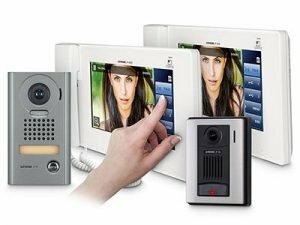 G Series panels integrate intrusion, fire, access control and IP video, providing one simple solution for all functions. Systems are scalable up to 599 points and 2,000 users for a large range of applications. Choose from the basic keypad, a color graphical LCD touch screen or ATM-style keypads. Models are also available for fire alarm applications. G Series Control Panels are approved for combination burglar and fire alarm applications, offer integrated access control and IP video control, and are compatible with Z-Wave automation devices. With Bosch, you get complete security with only one system to learn, use and maintain. The G Series provides up to 32 doors of access control, 599 points of burglary and fire protection and 2,000 users, all in a single control panel. Lower your cost of ownership with one system and one installation. Compatibility with our existing peripherals allows you to easily and cost-effectively upgrade your current system for greater capacity, enhanced features and more modern technology. Use your Ethernet or cellular data network with your G Series Control Panel to send alarm transmissions to the central monitoring station—eliminating the need for a phone line, reducing costs and increasing security. With G Series, you are prepared for the future. The panels support both current and future Internet Protocols—IPv4 and IPv6—to protect your investment as technology changes. Multiple interfaces allow Ethernet and USB connections, and simple, dual plug-in communication modules enable easy adoption of new technologies. Remote firmware updates ensure easy maintenance or feature enhancements. Remote programming with advanced diagnostic capabilities makes maintenance more convenient and allows technicians to service your system or modify certain functions without disrupting operations at your facility. With custom functions, a single action or presentation of access credentials can initiate multiple functions. This means easy arming for overtime work, holidays, meetings after hours, and more. Scheduled events also ensure the system is armed or disarmed at pre-determined times, or that other functions are performed based on the system’s internal clock and calendar. For enhanced ease-of-use, G Series allows system text and notifications to be displayed in English, Spanish, French or Portuguese. The language can automatically switch based on the user for reduced errors and false alarms. 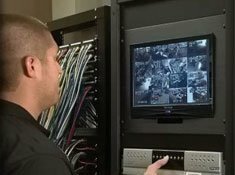 With our Remote Security Control app, you can also operate your system from an iOS or Android device. Arm or disarm the system, check status and control monitored points or doors using a smart phone or tablet. You can even view live video or still images from Bosch IP cameras integrated with the panel. Control individual rooms or up to 32 distinct areas of your facility. These flexible systems provide optimum performance and protection for a wide range of building configurations. Area Re-Arm ensures critical areas, such as an ATM service room or pharmacy storage area, are only disarmed for short periods and automatically re-arms them after a pre-determined time. Monitor Delay checks doors and other points in the system even when disarmed. The control panel provides notification and reports of specified conditions, such as an emergency exit propped open or loading dock door left ajar. This helps mitigate risk and help control HVAC costs. Our most advanced control panels, the B9512G and B8512G provide easy integration to a wide range of security components that create unique solutions for any application. 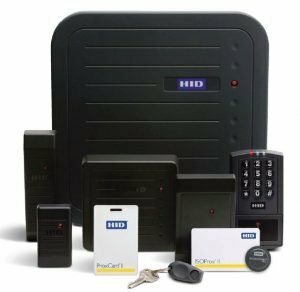 The G Series is compatible with a flexible line of keypads, IP cameras, access readers, smoke detectors, intrusion detectors, automation technology and wireless transmitters.